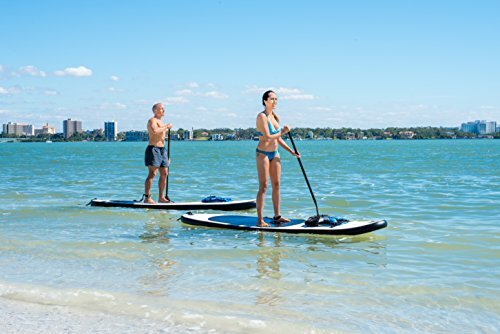 Amazon.com Price: $269.99 (as of 12/02/2019 19:26 PST- Details) & FREE Shipping. 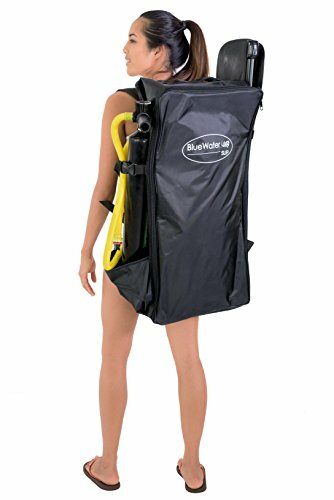 Measures 10’L x 28″W x 4″ thick with a max load capacity of 200-lbs and recommended for riders up to 180-lbs. 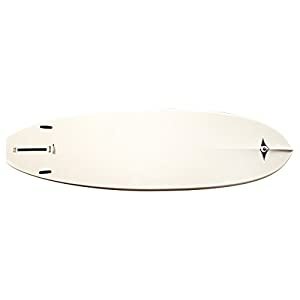 Great starter board! 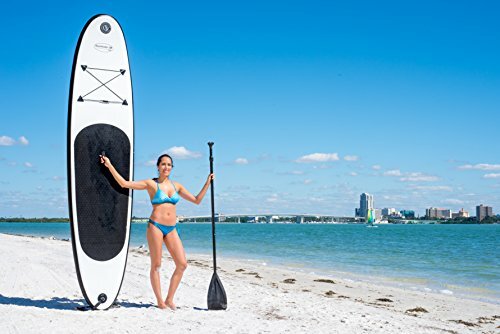 The Blue Water Toys WL-SUP10284 inflatable Stand-Up Paddleboard is an impressive Stand-Up Paddleboard perfect for summer fun on the water. 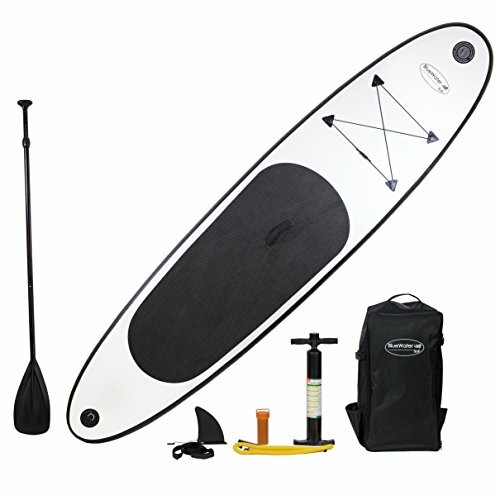 This board is great for cruising, riding the waves, yoga, fishing, hanging out, and lots of other activities. 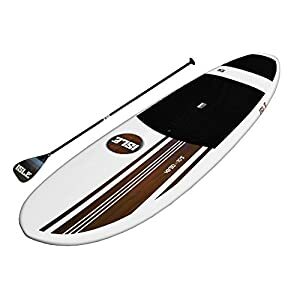 Military grade drop stitch construction enhances the performance and durability of the board whilst giving you peace of mind that the board will last many summers on the water. 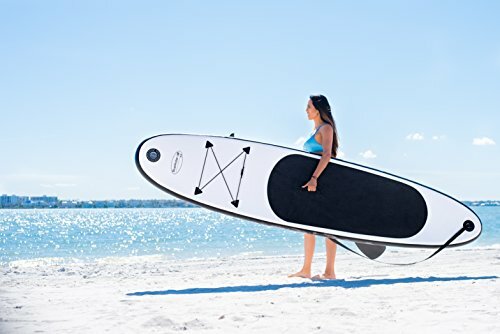 With tremendous rigidity, strength, and durability; this board is designed for riders up to 180 lbs and holds up to 200-lbs whilst providing comfortable boarding with slip resistant EVA padding. 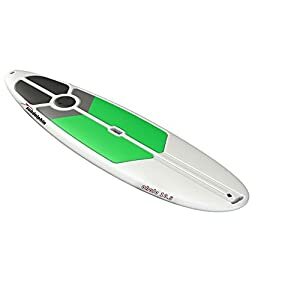 Great for all skill levels from beginner to advanced, this board is easily deflated for convenient storage in your trunk, garage or boats and easily inflated so you’ll enjoy oceans, lakes, or streams with this versatile and fun SUP. 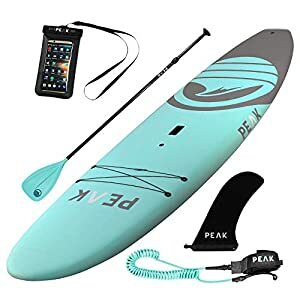 Includes 3 fins (2 fixed and 1 removable) for superior tracking and speed on flat water in addition to other accessories to strengthen your experience such as leash, adjustable floating paddle, pump, backpack, removable fin, and bungee cord. 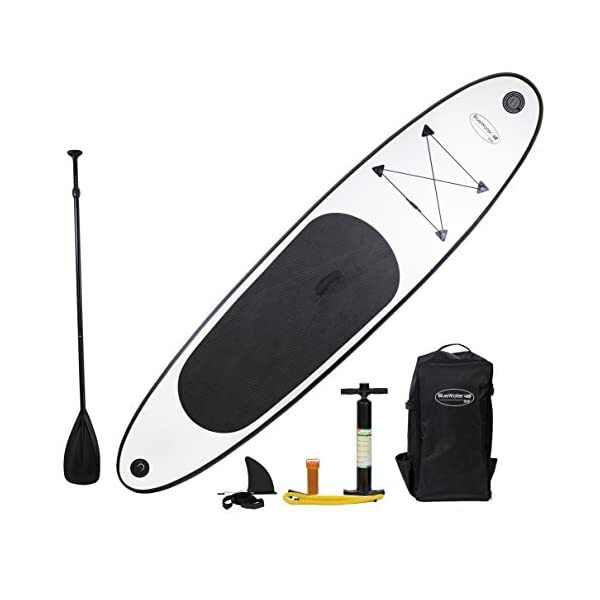 The Blue Water Toys WL-SUP10284 inflatable Stand-Up paddle board comes with a 1 year warranty. 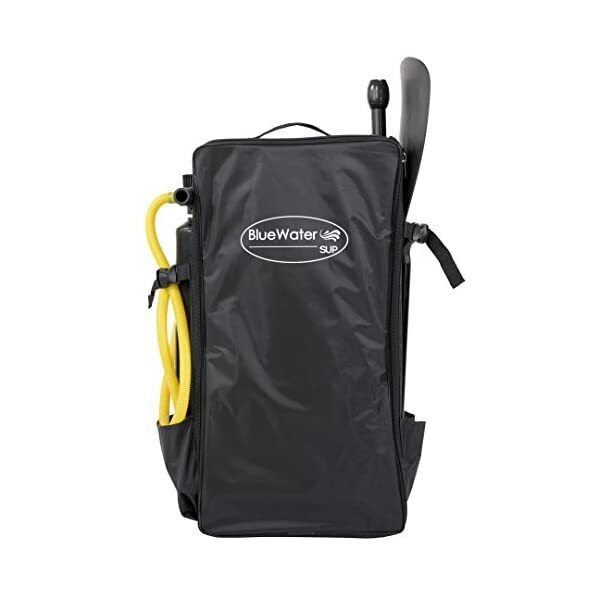 Blue Water Toys is a USA based company dedicated to providing our clients with top of the range products and service at an unmatched level with the guarantee to meet quality expectations. 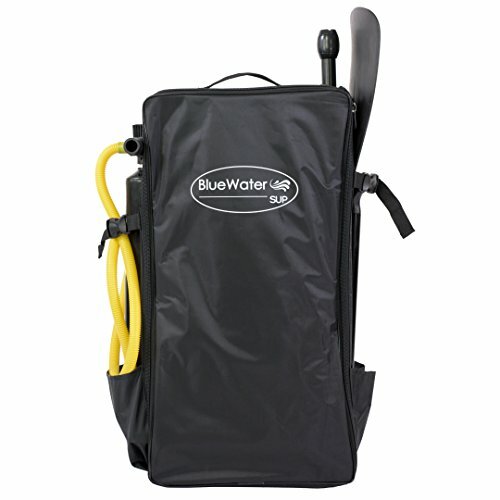 Measures 10’L x 28″W x 4″ thick with a max load capacity of 200-lbs and advisable for riders up to 180-lbs. Great starter board!